SHOWBIZ IS BACK FOR ITS 5TH YEAR! A morning of inspirational seminars, and a chance to connect with other local businesses to help you tackle all of your Sales and Marketing needs, plus a FREE breakfast! Hear from a range of speakers and connect your business with local companies who can help you “Supercharge your Sales and Marketing” in the exhibition area. All of our speakers run their own business which specialise in different areas of Sales and Marketing. PRICE : FREE for Business Forum members , £5 for non-members in North Tyneside, £10 for businesses outside of North Tyneside. The power of Google – we came across Nicola’s blog “12 things I really wished I’d known when I started my own business” and decided we would like Nicola to come along and host the event. 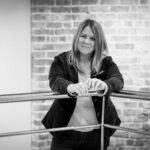 Nicola Jayne Little is the Director of Digital Sparkles a digital training agency serving the business community of the North of England. As well, as hosting and introducing all of our speakers, Nicola will deliver an interactive presentation ‘Making Your Digital Content Sparkle’ demonstrating how to repurpose different content on different platforms and utilise Facebook Groups to ramp up engagement with your audience. Angela will take attendees through some key tips for creating engaging visual imagery for their companies. Content truly is king in 2018, and with that in mind – she will show you how to spend half a day in your own business and create enough visual content to last you for up to six months. There’ll be an opportunity to ask technical advice and she’ll be offering hints and tips on how you can achieve great results in-house. Have you ever wondered how the same people seem to be in the media all the time? It’s really down to one thing – having a good story to tell. Keith Newman from Highlights PR will share some of the secrets of getting good PR. You never wanted to be a Salesperson! You had an idea, set up a business, and then realised you were going to have to sell to succeed… and you never wanted to be in sales! You’ll leave this session feeling super confident about selling – quickly, effectively and with integrity. Hear from co-founder, Lisa Eaton, on Unwritten’s unique approach to how understanding your buyer persona’s and building around them will enable you to deliver targeted and effective marketing with a measurable return on investment. Can you help businesses with their sales and marketing? Exhibit at ShowBiz 2018 to have a presence in front of other local businesses looking to enhance, improve and SUPERCHARGE their sales and marketing.